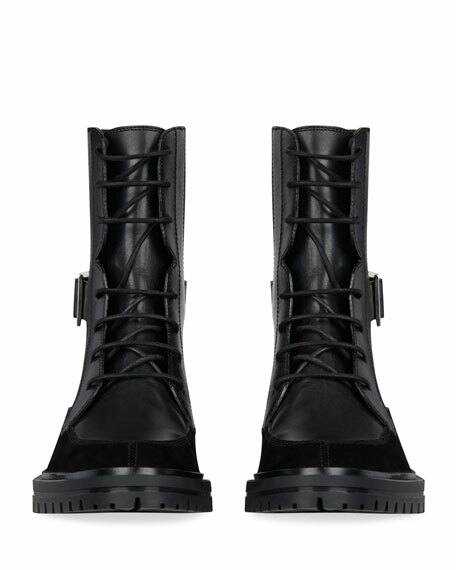 Givenchy "Aviator" ankle boot in calf leather and suede. 0.8" flat stacked heel with platform. 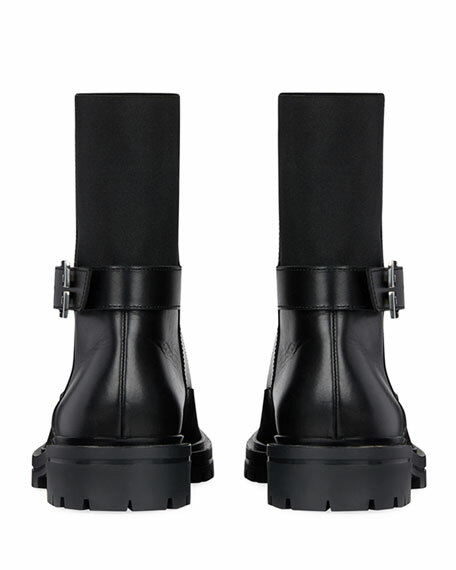 Givenchy rubber and PVC ankle booties. Chunky flat heel with platform. Round toe. Lace-up vamp. Logo at heel counter. Padded footbed. Lugged outsole. Imported. 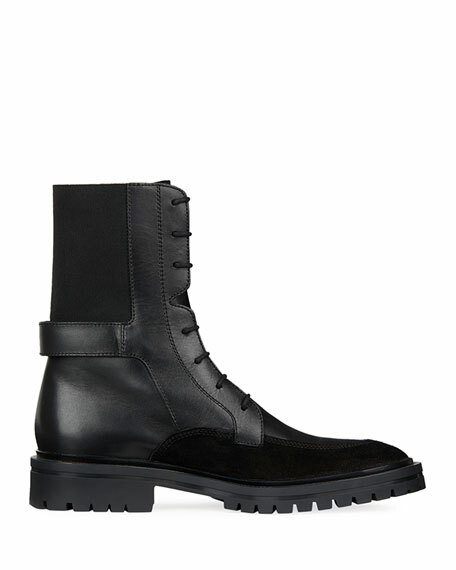 Givenchy calfskin ankle booties. 3.2" covered cone heel. Pointed toe. Fold-over top collar. Pull-on style. Leather lining. Metallic outsole. 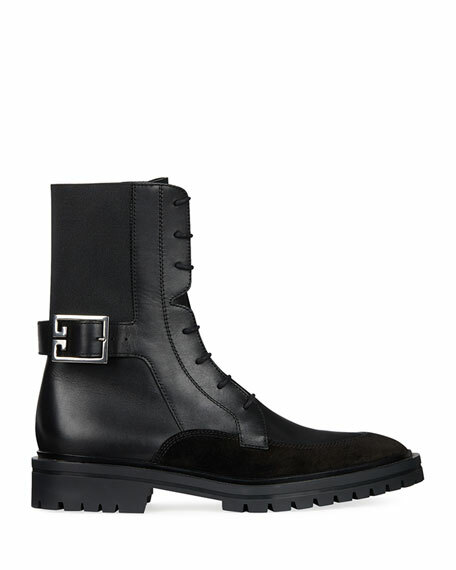 "Show"
Givenchy calfskin ankle booties. 3.2" covered cone heel. Pointed toe. Fold-over top collar. Pull-on style. Leather lining. Metallic outsole. "Show" is made in Italy.